Get FREE sample of Bigelow Tea. All you need to do is “Like” Bigelow Tea page on Facebook then fill out the form to get your FREE sample. Promotion is good until supplies last. In order to receive your FREE sample, you must be 18 years or older. FREE samples can only be mailed within the United States and will arrive within 4 weeks. 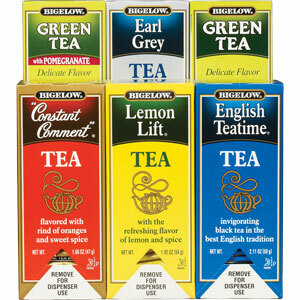 Your FREE sample could be one of over 100 flavors by Bigelow tea. Bigelow Tea was founded over 65 years ago and continues to be a family owned company. With over 120 tea varieties, tell us your favorites!